As you prepare to allocate your IT spend for next year, take a minute to explore how operations acts as the backbone of the hotel guest experience. Improving these areas depends on the ability of your operations team to collect and respond to guest needs and requests. 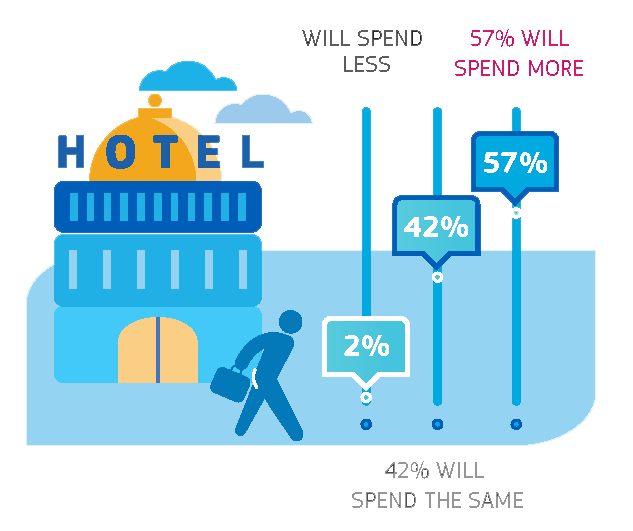 To meet changing guest demands, hotels are looking to spend budget to deliver value in the current year. According to the 2017 Hospitality Technology Lodging Study, 2017 is forecasted to be a year of investment with only 2% of hotels saying they plan to spend less than last year and 57% planning to spend more. With an average hospitality industry IT allocation of around 3.5% of revenue, making the right decision on where to use available funds will be essential. Based on the top 10 investment areas for technology in 2017, 29% of respondents called out servicing the guest (employee productivity) as a key priority, and 24% of hotels are searching for ways to enhance the guest experience. execute against the guest experience.